Dr. Neal Stradbroke has a secret past that could destroy everything he’s worked since childhood to build. But when he falls in love with the daughter of one of his patients, he must choose between revealing his past and risk losing everything or keeping his secret and watching her marry another man. Cadence “Caddy” Bainbridge has worked hard as a seamstress since her vicar father died, and for a while, things went well. But then her mother fell ill. Now, most of Caddy’s earnings go for doctors, medicines, and trips to the seaside trying to get her mother better. 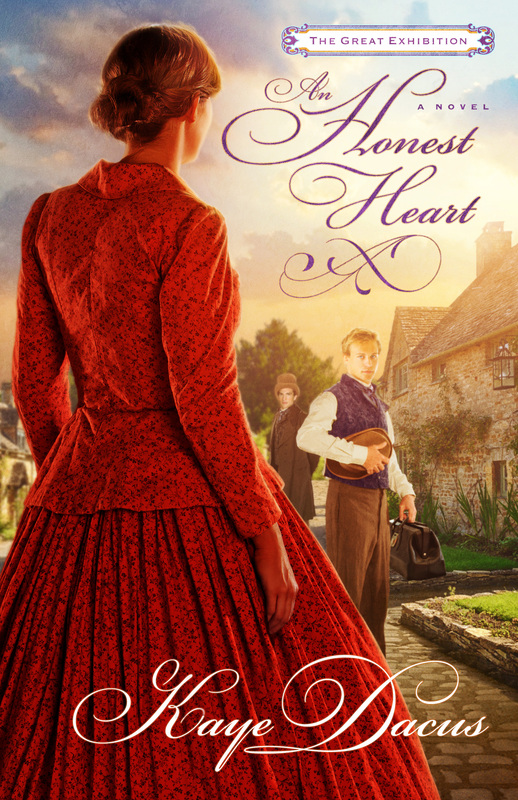 The last thing she needs is a romantic entanglement—but she finds herself torn between two men: Oliver Carmichael, whose wealth could give Caddy’s mother the life of ease she deserves; and Neal Stradbroke, for whom her heart yearns. Oliver Carmichael has always drawn the eye of all the girls with no exertion on his part—all the girls, that is, except seamstress Caddy Bainbridge. So, even though he has plans to marry Edith Buchanan, he places a bet with his friends that he can make Caddy fall in love with him before the opening day of the Great Exhibition. Edith Buchanan has been disappointed in marriage prospects already, so she is not about to lose another suitor to a woman of lower social status—especially not her own dressmaker!—so she spreads rumors about Caddy that could not only ruin Caddy’s business but cause Caddy’s mother to have a fatal relapse. Courtship . . . cunning . . . candor. Who has an honest heart?